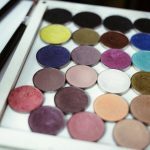 Craft fairs are very important events for selling your handmade beauty products. First of all, they provide an amazing opportunity to earn good money. Second, it is a great place to advertise yourself and find new customers. And lastly, it is fun. It feels fantastic to watch people browsing through your merchandise, admiring it and finally purchasing it. Those smiles on peoples faces is a reward on its own. Don’t you agree? We are creating beauty and joy after all. However, preparing for craft fairs, especially, if you are participating in multiple shows, is not easy. You need to register on time, pay your fees on time, plan your inventory, prepare booth decorations and plan your travel, sometimes you need to send something to the jury of the show for quality evaluation or prepare a raffle item. The list can go on and on. It is easy to get things mixed up or miss a deadline if you are participating in a few fairs. 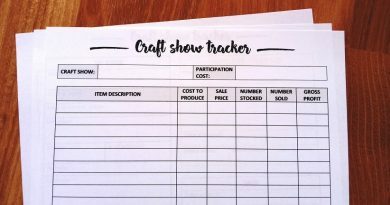 To make participation in craft shows more organized I have created simple but very useful printable craft show tracker sheets: “Craft fair participation tracker” and “Craft fair inventory tracker”. These two sheets were designed to be used together but will work perfectly on their own as well. In this post, I will talk about the participation tracker. Click here to read about and download a free printable craft show inventory tracker. 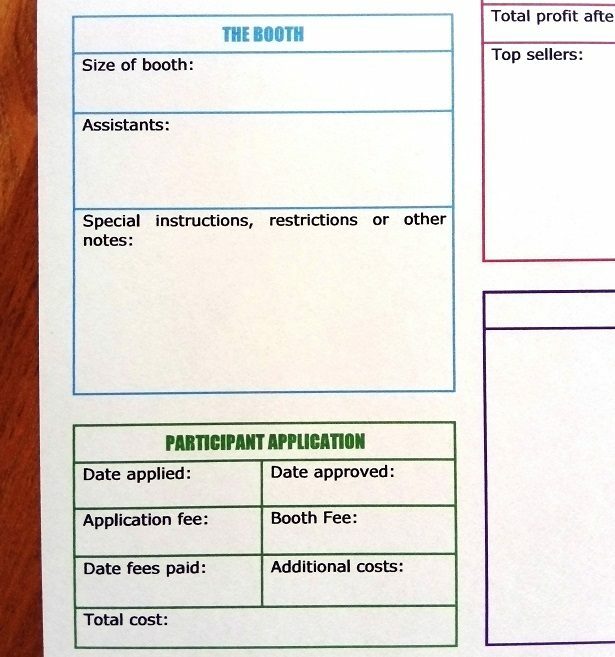 The main function of craft fair participation tracker is to remember and track all the details about a particular craft show: participation dates, payments of fees, information about the space you will get, possible restrictions, etc. But this is so much more than just an organizational tool. It allows you to track key information about a particular craft show, including, cost of participation, sales and your after-show comments. This is great if you tend to participate in many craft shows. 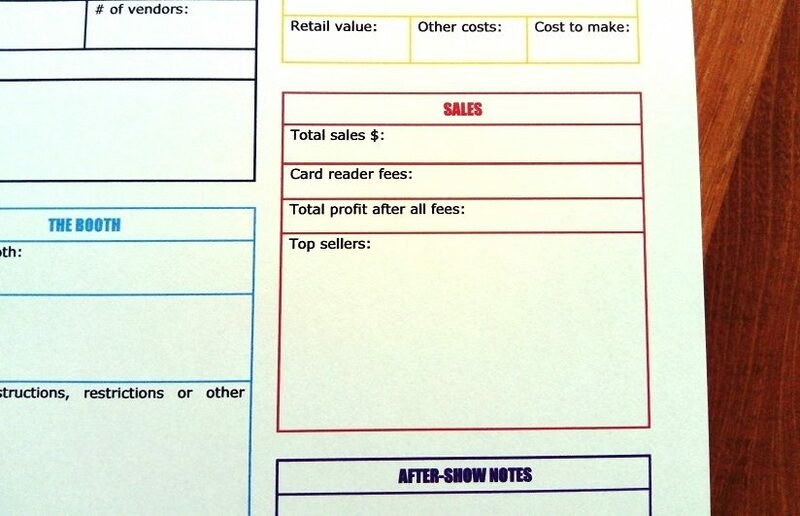 It helps you to look back at your last years shows and see how profitable they were, what items sold best in that particular show and whether you enjoyed participating there. This will help you decide if it’s worth participating there again. This tracker may not be as pretty as some of the trackers I have seen online. But it is definitely one of the best craft fair trackers in regards to functionality. Each section of this tracker is outlined in a different color. This makes it easy to spot required information. The first section, in dark blue, shows main information about the event: who, where and when. 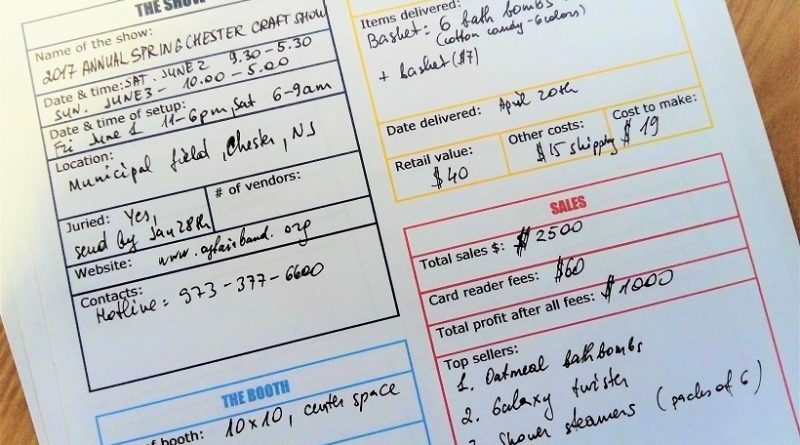 You can also mark whether fair is juried or not and how big it will be (# vendors). The second section, in light blue, is all about your booth space aka your home sweet home for the duration of the show. 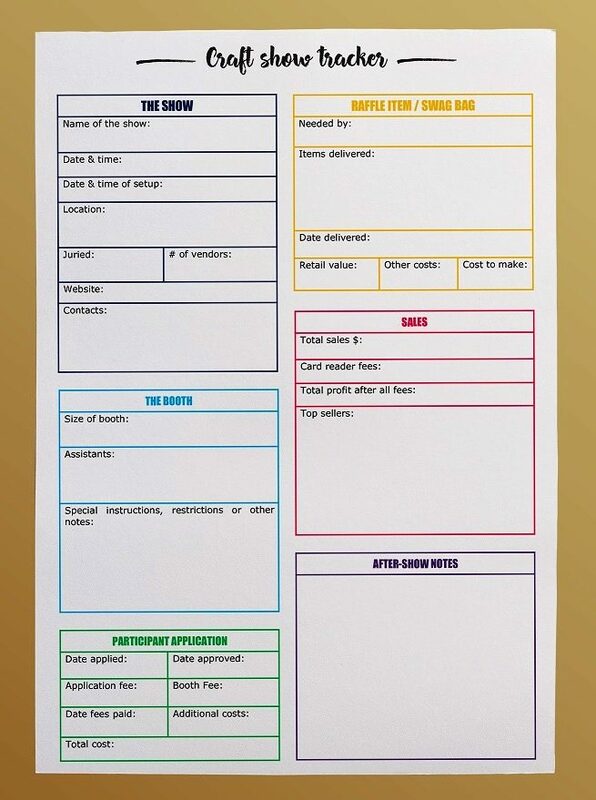 Green section is for application details. It shows the cost of participating in that particular craft show and helps you to track if all fees are paid. The yellow section might not be needed for most shows. Some craft fairs ask vendors to provide something that they could use as raffle prizes. These items usually need to be delivered before the show. The yellow section is for tracking this information. The fifth section is my favorite. Sales! It allows you to track sales and profit which is useful when comparing the shows or deciding whether or not to participate in a particular show next time. 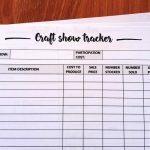 Once you start tracking your craft fair participation, you will see that there is a surprisingly little variation from one year to another for most shows. It makes sense when you think about it. Different craft fairs attract different customer groups. So it is natural that these customer groups will have different preferences and will react to your products differently. 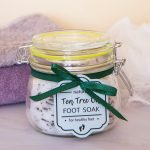 For example, you may notice that you are very successful at beauty and wellness related craft shows but not so much at holiday-themed craft fairs. Or you may notice that different products are more popular in different events. This is an important factor to track if you are planning to participate in the same event next year. 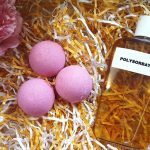 For example, if you are selling bath bombs, you may notice that in one show you sold many smaller size bath bombs. This could be due to pricing. Consider making more small size fizzies for the next year or slightly lowering prices in general. 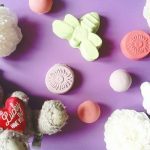 Another fair might attract mainly health-oriented customers, so they will buy more bath bombs that include natural nourishing ingredients. You get the idea. To track this I have included a section to write down your best sellers. It will not only help you to better analyze your sales in general but will also help to prepare better for the same show next year. And finally, the last section is for your notes after the show. It is useful to write down how busy the show was, what you think you did well, what you would do differently and if you would participate again. It is a good idea to keep all your tracker sheets in a cute binder sorted by the date. This way you can easily see upcoming events, check for due payments, raffle prizes and etc. You can also flip back and see last years events. It helps not to miss out on events as they are usually at more or less the same time as last year. The download link for this printable sheet is just below. And if you like it don’t forget to check craft fair inventory tracking sheet as well.